Cancer screening centre Cancer screening centre at Nanesh Hospital , Belapur Nanesh Hospital provides cancer screening facility with availability of experienced oncologist, onco surgeon and laparoscopic surgeon to guide patients to select appropriate test which will help them achieve diagnosis faster.This centre has advanced equipments to help in diagnosing cancer at earlier stage for better treatment . DIAGNOSTIC FACILITIES AT ACHARYA SHRI NANESH HOSPITAL Acharya Shri Nanesh Hospital provide wide range of diagnostic facilities including cancer screening at affordable rates. 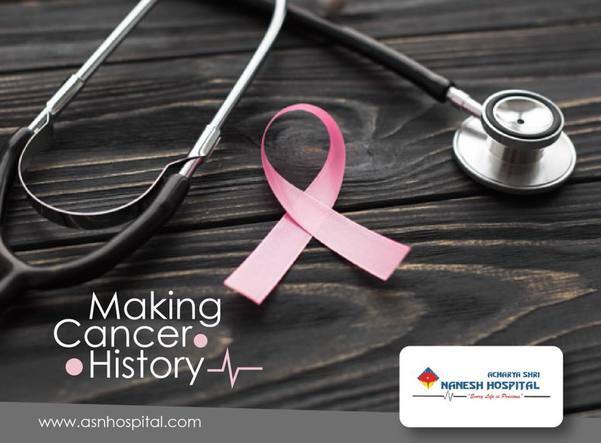 Best cancer Care at Acharya Shri Nanesh Hospital By team of experienced doctors. PERSONALIZED CANCER CARE AT ACHARYA SHRI NANESH HOSPITAL, CBD BELAPUR - BY DR.DONALD JOHN BABU & TEAM. Joint Replacement - At Acharya Shri Nanesh Hospital at affordable rates.